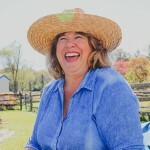 Let me explain…I purchased 1 and 1/2 tons of stone, needing to be spread on some low spots on the farm. 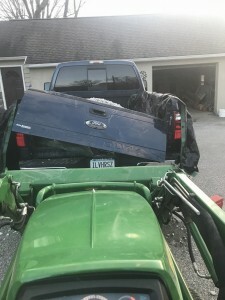 I accidentally bumped my tractor into my truck gate, causing it to come unhinged. Of course I was upset. But, soon I realized it gave me an opportunity to learn something new…How to remove the back gate from a truck. The unhinging part was easy, since I had already done it!! But, unhooking the back up camera so I could continue…well, that was an electrical piece, so that was a bit more challenging! I was VERY proud my myself as I did it!! I was able to continue moving the stone. As I did, I reflected on the experience. The ones you know about, and the ones that come encased in another manner!